1 year ago today, Virgin Atlantic Flight #VS43 (G-VROM) with 447 passengers & 18 crew members was a scheduled passenger flight from London Gatwick to Las Vegas. The aircraft took off at 11:43GMT, shortly after the pilots discovered a problem with part of its main landing gear. The Boeing 747 circled over southern England for several hours dumping fuel before making a safe landing back at Gatwick shortly before 16:00GMT. Route took by Virgin Atlantic Flight VS43. Photos of the 747 circling over East Sussex to burn off fuel. Virgin Atlantic Flight VS43 emergency landing before & after (Cabin). Virgin Atlantic Flight VS43 emergency landing with Radio. Photos of the 747 emergency landing at London Gatwick Airport. 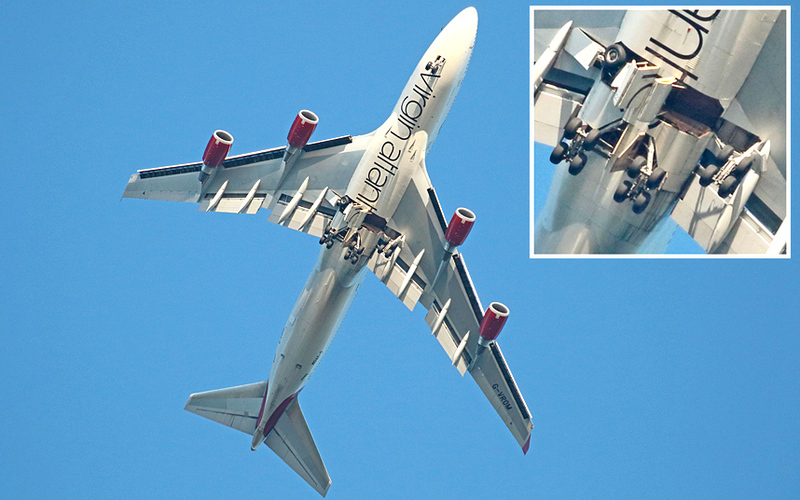 It was later found out that a maintenance personnel installed the main landing gear actuator upside-down before the aircraft suffered an undercarriage jam while returning to London Gatwick. The maintenance team did not use a sling to hold the 85kg actuator in place as it was fitted. Two technicians instead manually supported it – holding the heavy component for over 30 mins, owing to delays in locating an attachment pin.